When writing a Myth in Homer's The Odyssey research paper you should attempt to present two examples of the functions of myth that can be found in Homer’s The Odyssey. If you need help flushing out the purpose of myth in The Odyssey, have one of Paper Masters' writers custom write your project to show you exactly how myth plays an important role in Homer's work. The first function might be termed geographical, or rather, the ordering of the world. Odysseus traveled through a landscape in which almost every location had a mythical personage or event associated with it. In chapter thirteen the ring of mountains around Phaecia was explained as being due to the anger of Poseidon and the urging of Zeus. One myth in Odyssey term paper noted that Greek mythology, as opposed to other mythological systems, was unusually pervasive in their culture and unusually important to it. They used mythology to explain the details of the world around them and the mountains around Phaecia are an instance of this. A second function of myth is to convey cultural values and, at this, the Odyssey excelled. Odysseus, the hero, had two virtues. One of these we would expect in the hero of a Bronze Age epic; the other is a little surprising. First, he had the soldierly qualities of courage and prowess; these he demonstrated many times. But second, he had a highly developed practical intelligence. He proclaimed, “I am Odysseus, Laertes’ son. The whole world talks of my stratagems….” The chapter in which this statement was placed contained a fine example of his craftiness and skill at deception. He was able to escape Polyphemus because he used his head where mere brawn would have accomplished nothing. 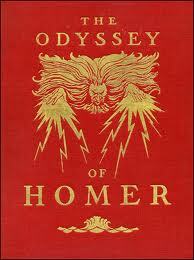 Odysseus’s prowess in war and his artfulness in making the most out of any opportunity offered him reflect the values of a warrior culture that placed almost as high a premium on intelligence as it did on skill at handling a spear. A Myth in Homer's Odyssey research paper may try to show that the Odyssey displays two of the functions that myths serve. Myth can be used to help humankind organize the world, to explain its features. Myth can also be used to convey cultural ideals. One of the things that make the Odyssey as beautiful as it is is that it uses myths to perform both these functions often and well. Paper Masters writes custom research papers on Myth in Homer's Odyssey and look at the roll of myth in The Odyssey by Homer.